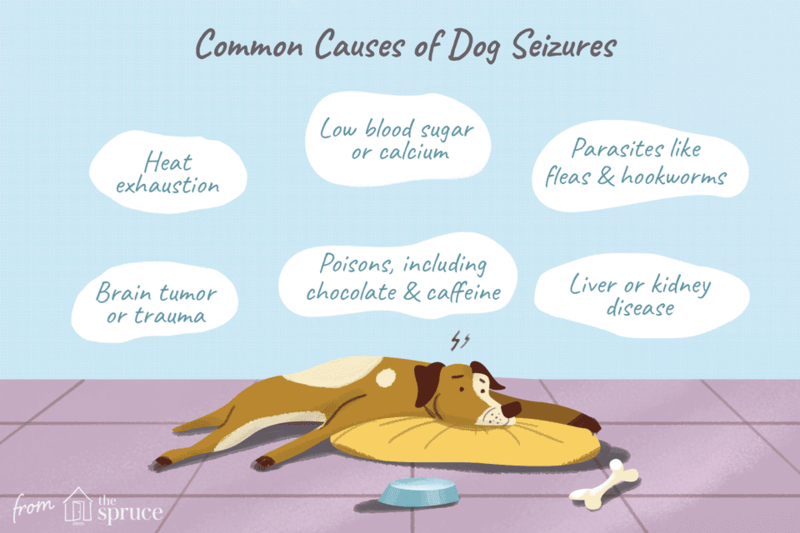 Seizures can occur in dogs for many different reasons. A seizure occurs when the cerebral cortex, a part of the brain, functions in an abnormal way. The cause of this malfunction may be a result of an abnormality located within the brain itself, or it could be the result of a disease that starts in another part of the body but is still is able to affect the brain. Seizures can be a sign of serious health issues in your pet. If your dog is experiencing seizures you should take them to the vet immediately. Extracranial causes of seizures are the causes that originate elsewhere in the body but are still able to affect the dog's brain and cause seizure activity. The seizure occurs because either the metabolism or the electrophysiology of the brain is changed by the disease. In most cases, if the cause of your dog's seizures is a structural intracranial lesion, the disease will be progressive. This means it will get worse with time. Functional changes inside of your dog's brain may result in what is known idiopathic epilepsy. Idiopathic epilepsy is a disease in which your dog has recurrent seizures but no specific cause can be located for the seizures. If your dog has had a seizure, he or she should be examined by your veterinarian. In some cases, diagnostic tests will indicate a clear cause for the seizure or seizures. Where no cause can be located, the disease is diagnosed as idiopathic epilepsy. Together you and your vet can make a health plan to deal with your pet's seizures. While seizures can be scary they are usually not life-threatening. Your vet can teach you what to do if your dog is having seizure's and in some cases can provide medicine to make them stop.